Price include: Transport with comfortable bus and coach, Accommodation in good hotels with private facilities, full board, professional guide and all entrance taxes. 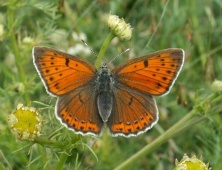 The Bulgarian Lepidoptera fauna is one of the richest in Europe - more than 3000 species of butterflies and moths. 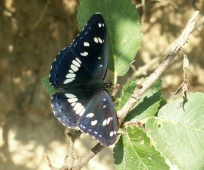 On the tour it can be seen more than 100 species of butterflies, including some typical Bulgarians sub-species. 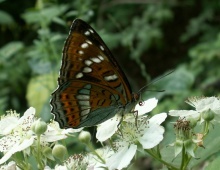 Apart from butterflies you can enjoy many beautiful landscapes and see interesting birds. Arrival at Sofia Airport. Short transfer to our hotel, close to the Bulgarian capital. Diner and overnight. A short walk near the hotel. We will spend one night here. On this day we will make a short transfer to Melnik town. 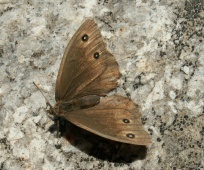 Butterfly stops at Dolni Pasarel and Kresna gorge. 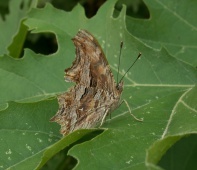 At the first stop we expect to see Berger’s Clouded Yellow, Lesser Purple Emperor, Southern White and Poplar Admirals, Common and Hungarian Gliders, Map Butterfly. 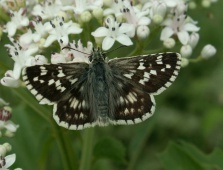 In Kresna gorge among the common species we can see also Sandy Grizzled Skipper, Inky Skipper, Southern Festoon, Mountain Small White, Krueper’s Small White, Grecian Copper, Eastern Baton Blue, Chequered Blue, Green-underside Blue, Meleager’s Blue, Chapman’s Blue, Oriental Meadow Brown, Southern Grayling, White Banded Grayling, Freyer’s Purple Emperor, Little Tiger Blue, Zephyr Blue, Nettle-tree Butterfly, Southern Comma, Common Glider, Lattice Brown and Balkan Marbled White. In the late afternoon we will continue our trip towards the beautiful town of Melnik - a picturesque historic village famous for its locally produced wines. We will spend three nights there. After an accommodation in the hotel we will visit a typical cave and we will test different wines. Diner and overnight. 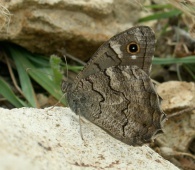 After breakfast we will explore Roupite and Kozhoukh Volcanic Hill and a small pond at Marena for some attractive Mediterranean species: Mediterranean Skipper, Inky Skipper, Oriental Marbled Skipper, Orbed Red Underwing Skipper, Yellow Banded Skipper, Oberthur's Grizzled Skipper, Eastern Wood White, Eastern Pale Clouded Yellow, Powdered Brimstone, Eastern Dappled White, Krueper’s Small White, Large Copper, Purple Shot Copper, Lesser Fiery Copper, Long Tailed Blue, Lang's Short Tailed Blue, Little Tiger Blue, Osiris Blue, Short Tailed Blue, Provençal Short Tailed Blue, Eastern Baton Blue, Zephyr Blue, Lattice Brown, Eastern Rock Grayling, Delattin's Grayling, Freyer’s Purple Emperor, Lesser Spotted Fritillary, Marbled Fritillary. Short visits to the mountain of Pirin surrounding the town of Melnik. Optional, if someone wants to it is possible to visit the nearest Monastery of Rojen, founded in 1220. Late in the afternoon we will return in the town of Melnik for a second overnight. After breakfast we will explore the mountain of Alibotoush surrounding the village of Petrovo, an exceptionally rich butterfly area. 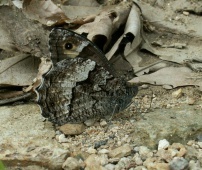 We can see here more than 70 species of butterflies. 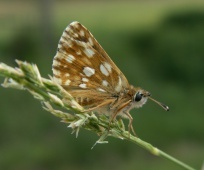 There we expect to see a wide range of species including Sandy Grizzled Skipper, many blues such as Phalakron Blue, Mountain Alcon Blue, Meleager’s Blue, up to three species of anomalous blue, Osiris Blue, Escher’s Blue and False Eros Blue, Cardinal, Oriental Meadow Brown. Picnic lunch. On this day we will continue our trip towards the Mountain of Rodopa. We will cross the Mountain of Pirin ,then we will stop to explore the region at Papaztchair and walk to Orelek. 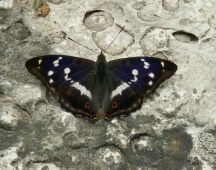 There we expect to see Apollo, Clouded Apollo, Camberwell Beauty, Balkan Copper, Higgin’s Anomalous Blue, Balkan Gavarnie Blue, False Eros Blue, Tufted Marbled Skipper, Turquoise Blue, Escher's Blue, Northern Wall Brown, Eastern Large Heath, Great Banded Grayling, Ottoman Brassy Ringlet, Pearl Bordered Fritillary among many others. In the afternoon we will arrive in the Valley of the river Mesta where we will have a short walk. Late in the afternoon we will arrive in our hotel with mineral water swimming pool. We will spend two nights there. After breakfast we will make a visit to the eastern foothills of Alibotoush Mountain (Nova Lovcha to Paril Villages) – a botany paradise near the Greek border. There we will spend the day looking for some interesting species of butterflies and also many endemic plants and flowers. 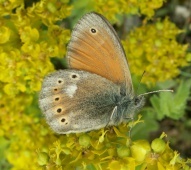 There we expect to see a wide range of species including Sandy Grizzled Skipper, Mallow Skipper, Olive Skipper, Eastern Wood White, Berger's Clouded Yellow, Eastern Greenish Black Tip, Mountain Small White, Eastern Bath White, Scarce Copper, Purple Shot Copper, Ilex Hairstreak many blues including Little Blue, Green-underside Blue, Large Blue, Reverdin's Blue, Mountain Argus, Escher's Blue, Anomalous Blue and Grecian Anomalous Blue, Balkan Marbled White, Great Sooty Satyr, Dil's Grayling, Weaver's Fritillary. Picnic lunch. On this day we will enter in the heart of the Mountain of Rodope. In the middle of the day we will arrive at the Trigrad Gorge for one night stay. This spectacular gorge is one of the best places for watching of the Wallcreeper in Europe. We will spend all the afternoon exploring this area and expect to see Apollo, Clouded Apollo, Camberwell Beauty, Mountain Small White, Zephyr Blue, Geranium Argus, Turquoise Blue, Escher's Blue, Ripart's Anomalous Blue, Pearly Heath. 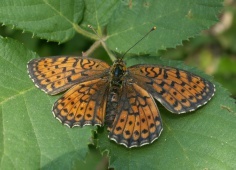 Travel to Smolyan Lakes, for a range of species such as Balkan and Scarce Coppers, Nickerl’s Fritillary, Twin-spot Fritillary, Woodland Ringlet and Chestnut Heath. Observation stops in the Chepelarska river valley where we could see Orbed Red Underwing Skipper, Marbled Skipper, Swallowtail and Scarce Swallowtail, Berger's Clouded Yellow, Eastern Short Tailed Blue, Scarce Copper, Large Blue, Chequered Blue, Meleager's Blue, Pearly and Chestnut Heath, Dusky Meadow Brown, Dryad, Marsh Fritillary, Niobe Fritillary, Duke of Burgundy Fritillary. 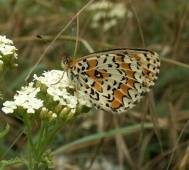 During this day we will visit also a mountain plateau surrounding the village of Bachkovo which is excellent place for butterflies, birds and orchids. Late in the afternoon we will arrive at our hotel in the town of Asenovgrad. The hotel is situated near the Monastery of Bachkovo – one of the famous Bulgarian monasteries. Diner and overnight. After breakfast we will explore Dobrostan limestone area which hosts a wide range of species and among those we expect to see are Chequered Skipper, Apollo, Mountain Small White, Osiris Blue, Blue Argus, Turquoise Blue, Iolas Blue, Large Blue, Reverdin’s Blue, Northern Wall Brown, Woodland Ringlet and Chestnut Heath among many others. After a picnic lunch we will continue our trip to the Studen Kladenets Dam. Diner and overnight. Day in the Arda River valley near Studen Kladenets and Madzharovo. We expect to see many butterfly species, including some of the following: Hungarian Skipper, Yellow-banded Skipper, Eastern Festoon, Blackveined White, Krueper’s Small White, Small Bath White, Purple-shot Copper, Green Underside Blue, Eastern Baton Blue, Amanda’s Blue, Freyer’s Purple Emperor, Southern White Admiral, Cardinal, Niobe Fritillary, Lattice Brown. Early in the morning we will continue our trip to the town of Sofia (about 200 km). Depending on your departure flight we will stop around Sofia.